Almost 1,400 of Mount Alexander Shire’s 5,900 households do not access the internet from home. This is 14.9% of households. 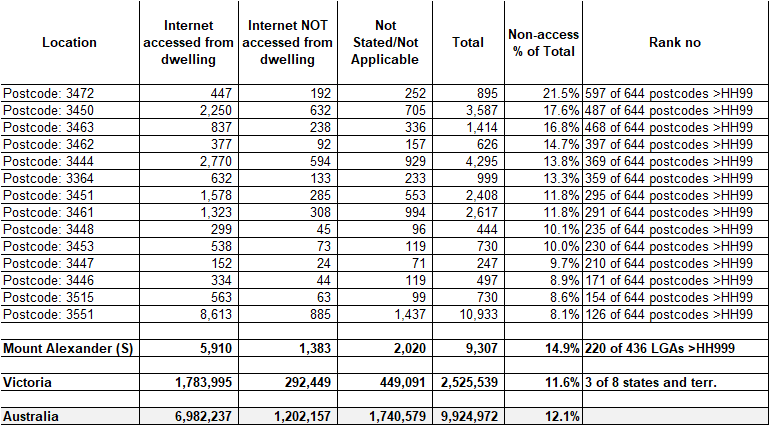 In terms of internet access Mount Alexander Shire is ranked 220 of 436 LGAs that have over 1000 households. 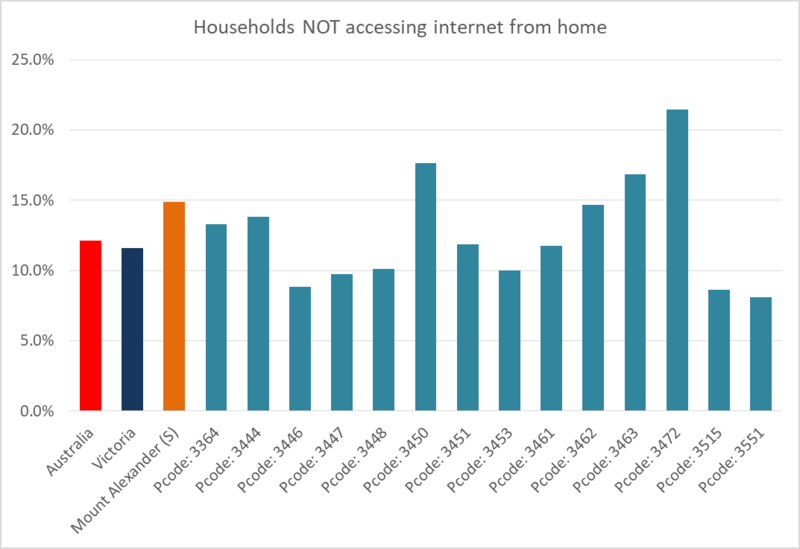 Within the Shire, postcodes 3472, 3450 and 3463 fare worst in terms of the proportion of households that do not access the internet from home. The following chart and table provide summary data for the region and a more comprehensive dataset can be found here. Source: ABS Census of Population and Housing 2016, compiled using ABS Tablebuilder.